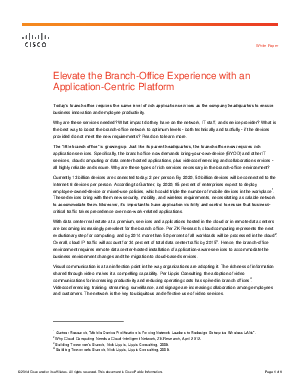 Today’s branch office requires the same level of rich application services as the company headquarters to ensure business innovation and employee productivity. Why are these services needed? What impact do they have on the network, IT staff, and service provider? What is the best way to boost the branch-office network to optimum levels - both technically and tactfully - if the devices provided do not meet the new requirements? Read on to learn more.